By Colombo Telegraph – A U.S. judge threw out a lawsuit Wednesday against Sri Lanka’s president over killings allegedly carried out by his forces during the country’s ethnic civil war. 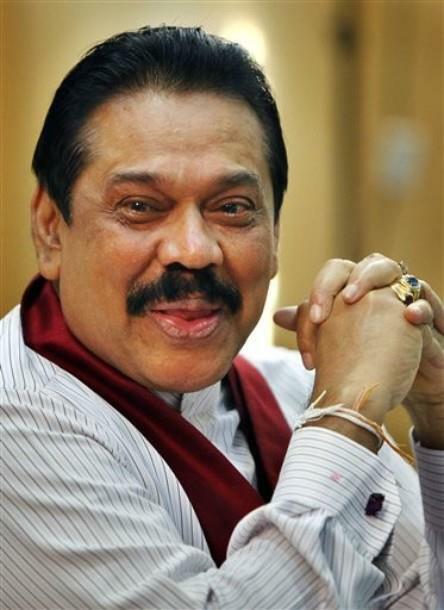 U.S. District Judge Colleen Kollar-Kotelly ruled that she must dismiss the suit against President Mahinda Rajapaksa because the Obama administration says he is immune from the litigation as a foreign head of state. The suit was brought by relatives of Tamil Tiger minorities and a humanitarian worker who was assisting them. The plaintiffs claim all were killed by government security forces under Rajapaksa’s control. The families sued Rajapaksa under the Torture Victim Protection Act passed by Congress in 1992 that says “any individual” who uses their authority to carry out extrajudicial killing is liable for wrongful death and can be ordered to pay damages to survivors. The families argued a head of state could not be immune from suits brought under the act because it refers to “any individual.” But Kollar-Kotelly said congressional records make it clear that lawmakers intended heads of state to be immune if the State Department declares them to be. “This court is not in a position to second-guess the executive’s determination that in this case, the nation’s foreign policy interests will be best served by granting defendant Rajapaksa head of state immunity while he is in office,” Kollar-Kotelly wrote. — Premas Anandarajah, one of 17 workers with humanitarian aid organization Action Against Hunger killed by gunfire on Aug. 4, 2006 after distributing food to Tamils in the town of Mutter. Anandarajah’s wife, Kalaiselvi Lavan, now lives in Sunrise, Fla., and is a party to the suit. —Four members of the Thavarajah family killed in May 2009 when Sri Lankan naval ships opened fire on displaced Tamils bunkered in a no-fire zone on the country’s eastern shore. Their relative Jeyakumar Aiyathurai is the family’s legal representative and now lives in Millstone, N.J. The Tamil Tiger terrorists would have easily won this case had there been in existence their notorious Kangaroo courts which sentenced to death a vast number of civilians,clergy,politicians etc including Indian PM Rajiv Ghandi. Indian PM was killed for contract. I know who paid money for that job. do you want to know the digit? They must have killed more Tamils in Peace time that the Forces did in war. Why have they not opened their eyes to the fact that the civilians were used as “human shields” by the LTTE. Someday he will answer. If not him, then one of his descendants. Dictatorships don’t usually end well; witness Hitler, Saddam, Gadaffi, Mubarak, the Shah of Iran, Benazir Bhutto, and soon join to join the club, Assad. But what about Stalin, Mao, Pol Pot, Bush Jr, Idi Amin, etc who were never brought to book for their crimes in spite of the fact that they were responsible for horrendous war crimes? All these men (except for Bush) died peacefully in their beds. add the names of Bush, Tony, Obama CT. They still at large Iraq to Afghanistan . Final proof (if any was required) that the truth gene bypassed your family tree. He will be in big trouble if and when he is NOT immune as head of state. The Tamils will wait for their day in court when MR ceases to be the president. Hold on to the post MR.
You can keep praying but there is a thing called self defence. There is evidence that the LTTE your friends bombed, hacked and shot innocent people in the Southern part of the country. Remember that there were 700 policemen killed in cold blood because the UNP was at time willing to believe the Tamils to be honest people. They found out the hard way that Tamils cannot be trusted. So do not worry. The Sinhalese, Muslims Burghers and other people like me will pray that he is treated as a hero and that history will remember him and his brothers. Chetty, where is that man who killed 700 policemen??????? :( :( :( any answer? He is a minister now with Rajapaksas and enjoying. Don’t insult the Tamils.Say the Tamil tiger terrorists along with their payed Sinhala terrorists who are having a jolly good life in Europe. That is what I meant… no one blames the innocent Tamils who were targetted by the LTTE as well. When I said “human shields” I thought this was understood. The reason why Karuna left the LTTE is that he was falsely accused of those murders. He was not responsible for any attcks in the East and that was known to most people in the Governemnts. Good reason for him to switch sides.